A high quality protein ration in crumb form. 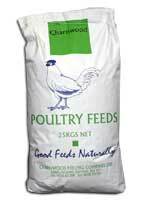 Fed ad-lib until 6-8 weeks of age, this feed provides all the nutrients necessary for optimum growth and development. The crumbs are carefully sieved before bagging to remove any dust which may be present. As its name implies, this ration is more suitable for free range birds, and less intensively kept stock, and is designed to optimise egg production  and quality  at lower levels of output. As Range Layers Pellets but in meal form. As its name implies, this ration is more suitable for free range birds, and less intensively kept stock, and is designed to optimise egg production  and quality  at lower levels of output. Designed more specifically for the Show Poultry world, this feed is becoming ever more popular with all poultry and duck keepers. 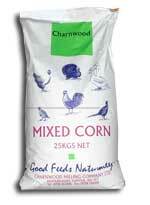 Quality ingredients and high Vitamin & Amino acid levels ensure maximum eggs  plus fertility  plus hatchability! A good ration to follow on from the Chick Crumbs! 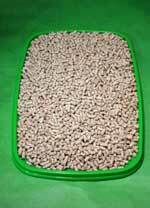 Choice of form will depend on the type of bird, with intake tending to be higher on Pellets than on Mash. Some restriction may be necessary to follow Breeders target weight figures. This diet should be fed through to a week before point-of-lay to at around 17-18 weeks of age. A Calcerous supplement for growing and laying poultry. To promote egg shell quality and thickness and aid digestion where whole grains are used. Apart from the well known and documented improvement in Egg Shell thickness and quality, Scientists have proved that Oyster shell confers further benefit when fed to poultry by way of promoting growth, and by some increased production. These benefits cannot be related to the calcium content of the oyster shell alone. It is probable that the reason lies in the trace elements contained in the shells. Oyster Shell is generally regarded as the best source of supplementary calcium for Poultry. 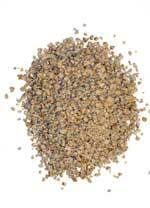 Make a supply of oyster shell available to growing and laying birds on an ad lib basis. Description: A multi-purpose ration designed to grow  and finish  domestic ducks and geese. With a relatively low calcium content this should not be confused for a layers feed, and, for those with laying ducks or geese, either of the layers feeds above may be considered.